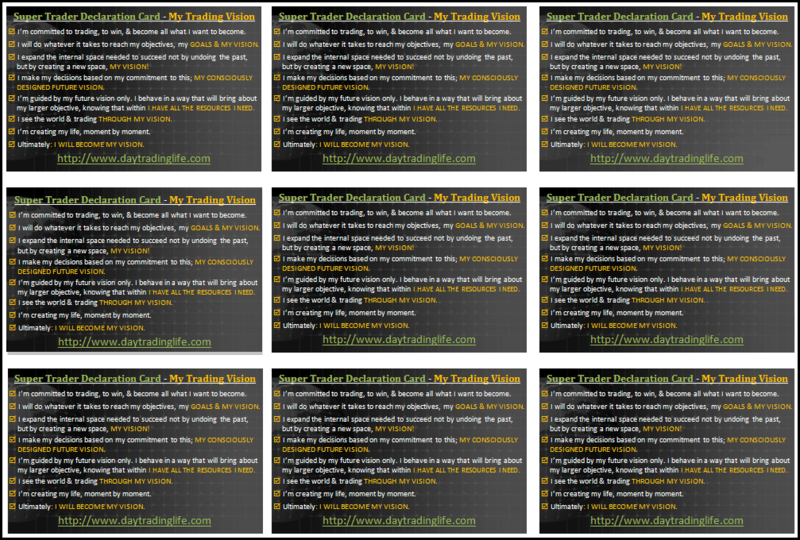 Super-Trader-Declaration-Card Downloadable Full PDF Version. I have created this; a ‘Super Trader Declaration Card,’ in a standard business card size, it’s dimensions being: (8.5cm by 5.5cm). Feel free to download the PDF Version, then print & cut out these declaration cards. Carry them with you where ever you go. You can alter, edit, amend as you see fit to ‘personalise’ your S.T. 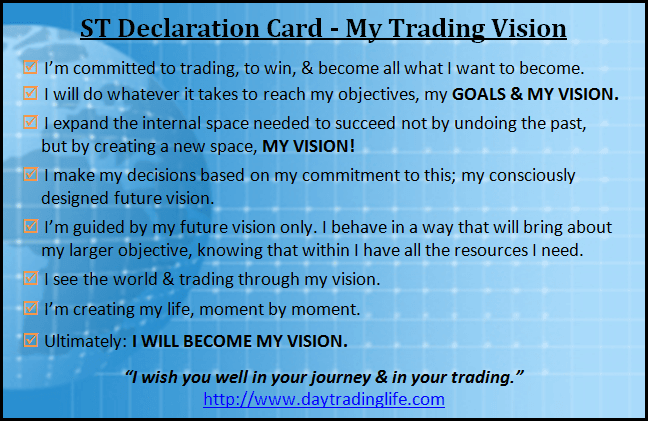 Declaration Cards, as no two traders’ goals & future visions will be one & the same. 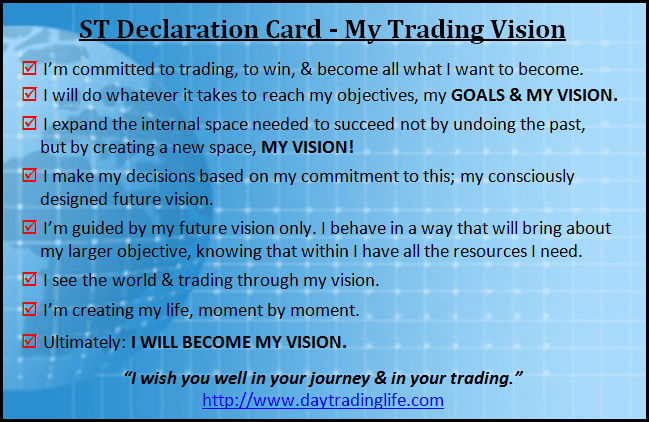 That said; my created ‘Super Trader Declaration Card’ is a great start, & will help you create your inner environment via mental conditioning. Declarations are one way in which to ‘Condition’ the mind. You are much much bigger than your mind. You have the power to control your mind. The mind is no more than an extension of your body; as your hand, foot or ear all are. To become a great Trader one must learn to think & act a certain way. 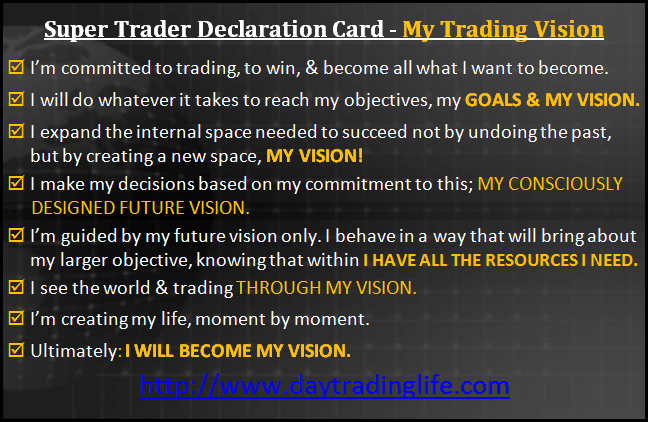 Using a ‘Super Trader Declaration Card’ is one way in gaining an edge & keeping a positive mental attitude & clearly focused thought process that will bring you into alignment with your trading ambitions. As you read these, your personalized declarations, combine & attach energising mental pictures with ‘Life like’ visualizations of these goals as vividly & clearly as imaginable. These stimulating mental pictures combined with strong feelings & sensory emotions are to be enjoyed & savoured. Now; these goals are to be viewed & seen in such a way as if you have realized, achieved & obtained them all NOW! All your goals are now REAL & in the present. All you set to be & do; your vision is now a Reality. 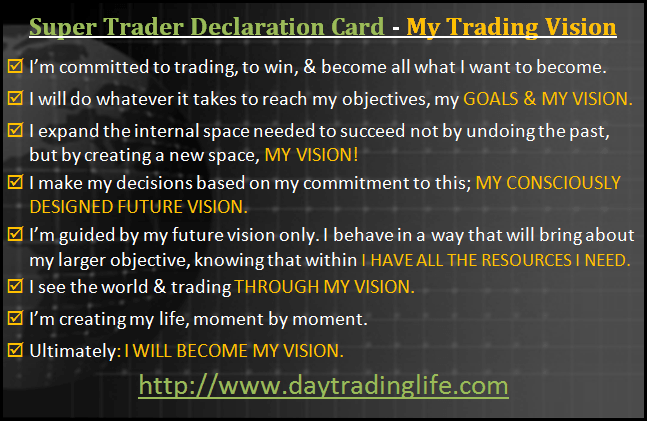 The Super Trader Declaration Card is written in the Present Tense, pronouncing strongly positive affirmative statements. Read & Reread these ‘Goal Cards,’ each morning when you awake, during the day if possible & each evening before you go to bed. 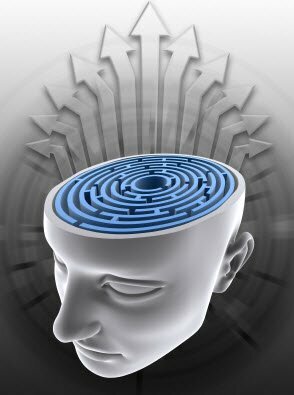 You require change to be permanent, which requires work on a ‘Cellular’ basis; remapping, rewiring your brain to activate these new thought processes. By employing this new inner ‘Conditioning’ & ‘Modelling ‘ technique, your reorganized & rearranged thought processes will bring you into total alignment with how a ‘Super Trader’ actually thinks. Believing Only YOU Create Your Life Is A Core Belief & Paramount To Your Future Success. Next Next post: Meditation Part1 – Why Meditate?